The Xiidra marketing team attempted to move away from the standard drug commercial to shine in a new market and challenge legacy techniques. Typical DTC drug campaigns feature happy people hiking in the woods or enjoying a picnic. Shire abandoned that custom in favor of a minimalist, text-centric drug campaign for its dry eye treatment Xiidra. Xiidra had two challenges: Shire had no previous eye-care drugs and the prescription dry-eye market has been dominated by Allergan’s Restasis for more than a decade. "We didn’t want to be part of that DTC white noise landscape," says Victoria Noble, VP and head of ophthalmology marketing. "There are deliberately no smiling faces, no beaches, no puppies, none of that. We wanted to do something fun and positive." Dubbed the double ‘i’s, the campaign is aimed at women around 40. The two letter ‘i’s in Xiidra are the centerpiece of the campaign, bouncing around the TV ads and subtly changing phrases like "niice to meet you" or "hello beautiiful." The name Xiidra and its double ‘i’s were a gift to the marketing team, Noble says. 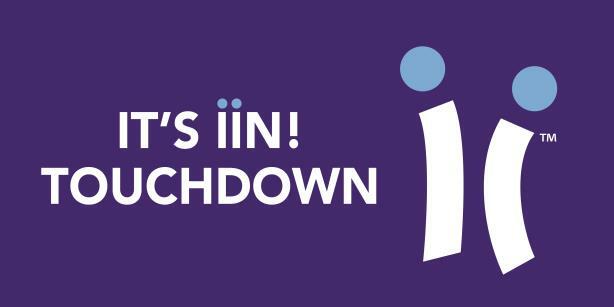 "The double ‘i’s have a lot of personality," says Michelle Nguyen, director and consumer marketing lead for ophthalmology at Shire. Coupled with the visual difference, the ads deliberately have a more conversational tone to set them apart. Noble notes little changes in wording such as "give your eye doctor a ring," instead of the usual "talk to your doctor," which also changes the feel of the ads. Shire complemented the double ‘i’s with an unbranded awareness campaign called Eyelove as part of its bid to help establish itself as an eye-care company. Shire worked for two years prior to Xiidra’s launch to raise awareness among doctors of dry eye disease, Noble says, and Eyelove represented the consumer-facing aspect of that push. "Our team and our approach overall was to be a challenger to the mindset," Noble says. "As a launch brand, you only get one chance to make a first impression - we made sure we came out of the gate in a bold way to [maximize] that first impression for our customers." Noble believes drug marketers can get blinders on when developing campaigns and think that, because of regulation and widely used TV ad formats, they can’t do anything different. "We shouldn’t be held to a different standard than other industries, such as consumer packaged goods," says Nguyen. "We believe in great marketing across the board and, even in a restricted environment, there's a way to show up in the world, make an impact, and engage with people that can still be really fun."